Among firms pitching their products at the Forex Magnates London Summit Elevator Pitch Presentation, which was won by SafeCharge, was a new social broker, TradeCrowd (link to presentation). 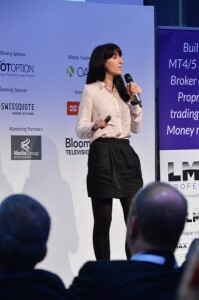 At the event, TradeCrowd publicly launched its firm and platform, with Community Manager, Mirjana Glavonjic who expressed how social trading provided an opportunity to reach the next generation of traders, as it provided an interface they were familiar with. In a way, the pitch was reminiscent of the early days of Yammer, which was viewed as a Twitter or Facebook for businesses. This led many to have a skeptical take about the product until it was eventually purchased by Microsoft for $1.2 billion. In terms of distinguishing it on the market, Glavonjic explained to Forex Magnates that they believe their edge is that their platform combined both the social and trading experience within one interface, thus removing the need to click to different windows. In regards to the platform, TradeCrowd has currently announced the launch of two new features; Contra Copy and Light Signup. In a twist to copy trading, the Contra Copy feature allows users to initiate the opposite trade of traders they are following. The feature, which is also available from FxStat, provides an interesting take on wagering on the industry belief that a vast majority of retail trades are unprofitable. In regards to the Light Signup feature, it will allow users to sign up for the platform through a variety of social networks, providing access to the TradeCrowd system without needing to have a funded account.